Your hotel with mountain views. Spa and wellness holidays in Hinterglemm. A variety of great deals await you at our spa and wellness hotel! We offer 31 lovingly furnished rooms, equipped with modern facilities and a special extra something! Whether it’s summer or winter, there’s something for everyone here! in Hinterglemm it’s never boring! Welcome to our 4 **** wellness hotel in Hinterglemm ! Fancy spending your holidays surrounded by the stunning mountains of Saalbach, one of the top ski resorts in Austria? Want to enjoy great food and have a good time? Then you've come to the right place! In the newly renovated Hotel Almrausch in Saalbach Hinterglemm and Leogang, we strive to make your heart beat faster and to sweeten the best days of your year. In Hinterglemm and Saalbach, you will find accommodation where you will be welcomed with open arms. In addition to four-star standards, our family-run Hotel Almrausch in the heart of Hinterglemm offers a spacious, modern sauna area that leaves nothing to be desired! After a hard day’s skiing in Saalbach, four different saunas and a relaxation room with a healthy tea bar invite you to relax and unwind. And if all that’s not enough, our unique location unparalleled among the hotels of Saalbach-Hinterglemm will definitely win you over. The Almrausch can be found directly next to the Bergfriedlift, offering direct access to the ​​Saalbach Hinterglemm and Leogang ski area, and located close to the pedestrianized town centre of Hinterglemm. Naturally we also take care of your physical well-being. Before you weave down Saalbach’s pistes, build up your strength at the breakfast buffet offered by this wellness hotel in Hinterglemm. The cereal bar, egg buffet and varied juice bar ensure the greatest start to your day. We also provide a special treat from the Saalbach kitchen in the shape of a skiing snack - made in Austria! Round off an eventful day in Saalbach Hinterglemm in the hotel’s restaurant. Whether you’re looking for regional dishes or specialities from around the world - we guarantee that when you’re with us, no desire will remain unfulfilled! A good glass of wine or a delicious cocktail from the in-house bar is the perfect end to your day in the region of Saalbach Hinterglemm and Leogang. 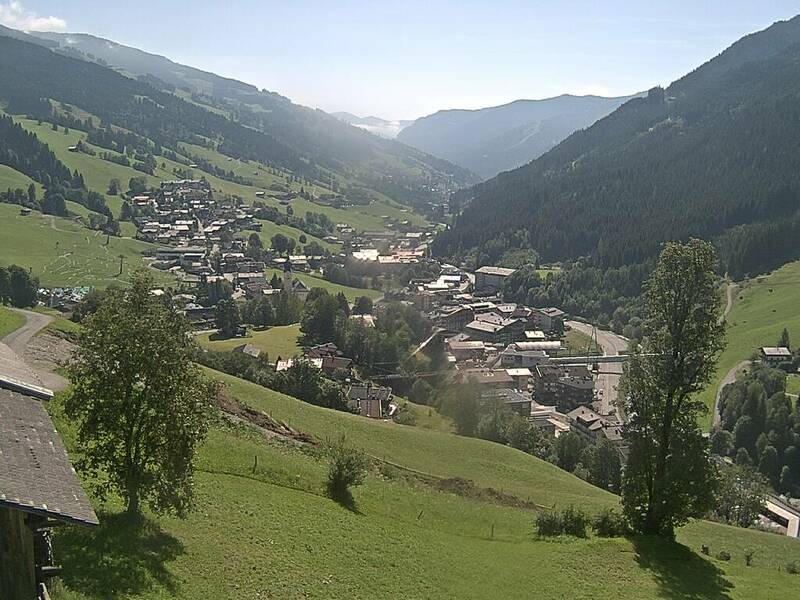 We would be delighted to welcome you to the Wellness Hotel Almrausch in Saalbach Hinterglemm so we can ensure that you enjoy an unforgettable holiday.